As of 2018, with an estimate of $750 million (approx 55,66,91,25,000INR), Shah Rukh Khan is hailed as the richest actor in the world. The total wealth is owned by both Shah Rukh and his wife Gauri. Gauri is a film producer and an interior designer. Here are some absurdly extravagant things owned this couple. Mannat is Gauri and Shah Rukh’s sea-facing lavish abode, located at Bandstand in Bandra, West Mumbai. 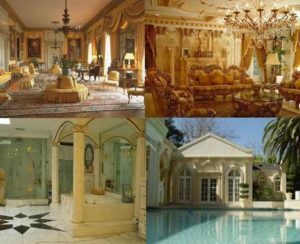 Shah Rukh is said to have bought this six storeys high building for $2,400,000 (15 crore INR) but now with all the exorbitant things the house is designed with, it is estimated to cost around 200 crore INR. Founded in 2003, Red Chillies Entertainment is an Indian motion picture production, distribution, and a premier visual effects company, co-owned by Gauri and Shah Rukh. The worth of this production house is said to be 500 crore INR. Shahrukh Khan’s Villa K-93 at Palm Jumeirah in Dubai, named as ‘Jannat’ was gifted to the actor by Dubai based property developer, Nakheel in September 2007. The developers, aware of the actor’s brand and image, wanted him to perform at the Company’s annual day event in return. This breathtaking villa spread across 14,000 sq ft, has six bedrooms, remote controlled garages, and a private pool. It’s worth a staggering 17.84 crore INR. The house is usually used by actor and his family for a holiday retreat. 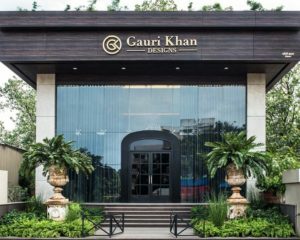 Located in Mumbai, this luxury shop worth 150 crore INR is owned by Gauri. The shop has a collection of designer furniture, lighting, art, home décor items and much more exclusively designed by Gauri in collaboration with other designers. 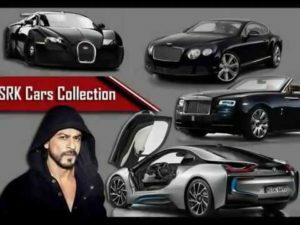 Gauri and Shah Rukh also have a huge collection of cars. It includes BMW i8 priced 2.29 crore INR, BMW 7 Series, the elegant BMW 6 Series Convertible, 22 lakh worth Mitsubishi Pajero SFX, 3.8 crore INR priced Bentley Continental GT just to name a few. No wonder Shah Rukh is called Badshah of Bollywood while Gauri, the first lady of Bollywood.